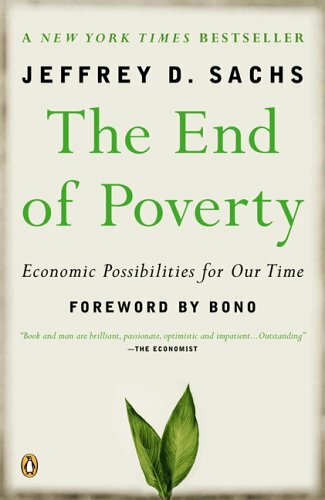 rigorous analysis and a vision as pragmatic as it is fiercely moral, The End of Povertyis a truly indispensable work. the Kennedy School of Government (1995-1999), and the Director of the Center for International Development (1999-2002). Sachs is known for his work as an economic adviser to governments in Latin America, Eastern Europe, and the former Soviet Union. A trained macroeconomist, he advised a number of national governments in the transition from communism to market economies. Jeffrey Sachs has authored several publications. Some of his titles include Common Wealth: Economics for a Crowded Planet and The Price of Civilization: Reawakening American Virtue and Prosperity, which earned him a spot on Publisher's Weekly Best Seller List for 2011. Can the Rich Afford to Help the Poor?